stock1234 and Steven_Burt like this. 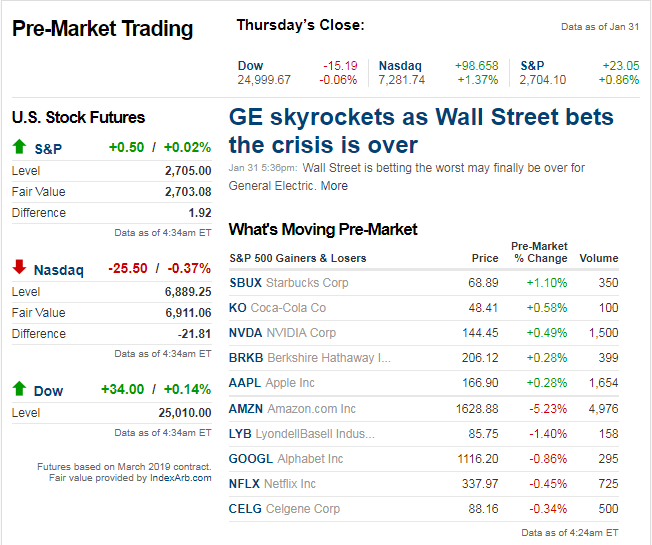 Market hasn't yet noticed the banks are all red, it seems. bigbear0083 and Steven_Burt like this. 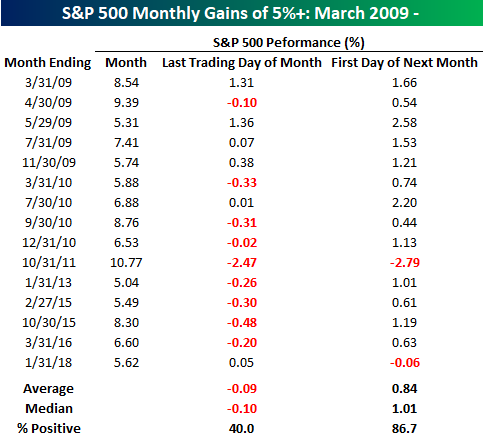 so as was mentioned in here yesterday, the cash spx is on pace for its best january since 1987.
here is a chart showing all of the spx returns in jan. since the 1950s. right now we're looking at potentially the 5th best jan.
T0rm3nted, Steven_Burt and stock1234 like this. With month end today, here's a quick view on how the indices performed in January to open up 2019. Good Friday morning to all. Welcome to the first trading day of February! Hope everyone has a good trading day ahead today on this final trading day of the week. stock1234, Ken34 and T0rm3nted like this. VIX currently 16.31, some people are looking at 16 as the threshold. I hear the last bear market, VIX never went below 15 though. not sure if anyone will find this useful or what, but starting from this week (or actually it was from last week) i'm going to be setting up the most anticipated earnings threads on friday morning's as opposed to doing them after i've setup the new weekly threads for the following week. i do these on reddit for a couple of stock communities, particularly on r/StockMarket so i figured why not just do the same here, and post them on friday morning's rather than waiting until friday night or saturday morning.